As part of the 2017 CMA Music Festival, Universal Music Group Nashville announces a Music Is Universal event taking place from June 7-11 in downtown Nashville. The Budweiser Dome presented by Rated Red will feature live music and will debut 360◦ concert films from superstars Eric Church, Gary Allan, Kip Moore, Lady Antebellum and more set against an immersive 360◦ video projection across a 70-foot ceiling. Live performances produced by the Emmy-winning online music series “Skyville Live” kick off Wednesday with a post CMT Awards concert by Gary Allan; “Throwback Thursday” featuring Bellamy Brothers, Deana Carter, Mark Collie, The Kentucky Headhunters and Shenandoah; plus a surprise concert by a multi-Grammy Award-winning super group on Friday. Weekend performances include Lauren Alaina, Clare Dunn, Maddie & Tae, Eric Paslay, Canaan Smith and more. In addition to her live performance on Saturday night, Lauren Alaina will premiere her brand new movie Road Less Traveled. All events will take place in an air-conditioned venue and are free and open to the public. The Budweiser Dome presented by Rated Red will be constructed on site just steps away from Music City Center at the corner of 8th Ave. S and McGavock St. The completed structure will stand 26 feet tall and feature a 70-foot ceiling for 360◦ video projection. With flooring provided by industry leaders Dura-Trac, the Budweiser Dome presented by Rated Red promises to offer fans an exceptional music experience. For a full schedule, see below or visit www.BudweiserDome.com. 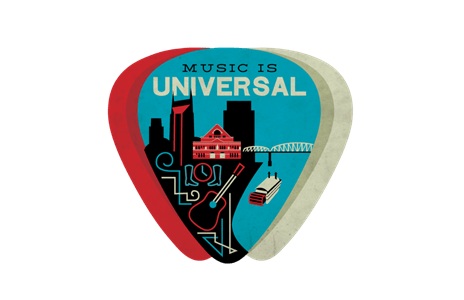 About Music Is Universal and UMG Nashville: Music is Universal represents a series of events and activations spotlighting artistry, innovation and creativity by Universal Music Group, the world’s leader in music-based entertainment. Universal Music Group Nashville consists of Capitol Records Nashville, EMI Records Nashville, MCA Nashville and Mercury Nashville. Reading like a “who’s who” of Music Row, the combined rosters include Alan Jackson, Billy Currington, Brandon Lay, Brothers Osborne, Canaan Smith, Carrie Underwood, Chris Stapleton, Clare Dunn, Darius Rucker, Dierks Bentley, Easton Corbin, Eric Church, Eric Paslay, Gary Allan, George Strait, Haley Georgia, Jon Pardi, Jordan Davis, Josh Turner, Kacey Musgraves, Keith Urban, Kip Moore, Lady Antebellum, Lauren Alaina, Little Big Town, Luke Bryan, Mickey Guyton, Sam Hunt, Shania Twain, The Band Perry, Travis Denning and Vince Gill. About Rated Red: Rated Red is a multiplatform digital video network aimed at the heartland millennial audience that is fast becoming the leading voice for young audiences between the coasts. With a mix of news and entertainment programming covering personalities, music, sports, and outdoor lifestyle; as well as popular weekly series Ride of the Week, Red Hot Building, and Rated Red News plus premium programming like QB1: Beyond the Lights from Peter Berg’s Film 45, millions of millennials from across America’s heartland have found their new home. The channel is headquartered in Nashville, TN. About Skyville Live: Emmy Award-winning Skyville Live is an online performance series featuring iconic artists and household names sharing the stage with the up-and-coming stars of tomorrow, all presented in a unique and casual atmosphere and filmed in front of a live audience. With over 10 episodes to date, Skyville Live has created once in a lifetime collaborations and show-stopping moments with a tremendous array of celebrated artists and talented musicians. These moments include Kris Kristofferson sharing the stage with Lady Antebellum on his classic “Help Me Make It Through the Night,” Kelsi Ballerini and Ingrid Michaelson joining Cyndi Lauper for an energetic take on her hit “Girls Just Want to Have Fun,” and Billy Gibbons, Robert Randolph, Charlie Starr and Charlie Worsham bringing down the house with “I Thank You.” In addition to the show’s stellar lineups, Skyville Live features a backing band with some of the greatest musicians in Nashville. For more information on Skyville Live and details on upcoming shows, visit www.skyvillelive.com. About Dura-Trac: Dura-Trac Flooring LTD designs and manufactures temporary flooring systems specifically for special events and the entertainment industry. Dura-Trac flooring systems, which use HDPE plastic for strength and rigidity, include Dura-Trac SE; Dura-Trac SB (solid back); and Quik Road. Each is engineered for specific event and venue needs, whether covering stadium turf for a large concert; flooring beneath tent structures; or creating a temporary roadway. Strong enough to support vehicles and heavy equipment or provide back-of-house staging, Dura-Trac Flooring is the flooring solution of choice at prestigious events across the country, including major sporting events, large music venues, corporate events, and other national events. Dura-Trac Flooring is headquartered in Kearneysville, WV and available from 30 distributors across the US. 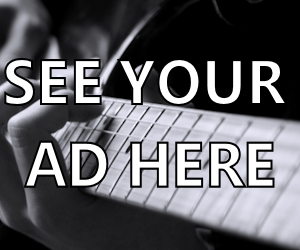 To learn more or find a distributor near you, contact us at 888-828-9535 or 910-352-2437. About Polaroid: Polaroid is one of the most trusted, well-respected and recognizable brands with a rich 80-year history beginning with Polaroid instant cameras and film. Our range of products include instant print cameras, action sports cameras, smartphones, flat-screen TVs and emerging technologies that deliver the fun, instant gratification and value for which the brand has long stood. Today, the Polaroid Classic Border Logo, rooted in our beginnings of instant photo sharing, serves to designate genuine Polaroid branded products. For more information, visit Polaroid.com.